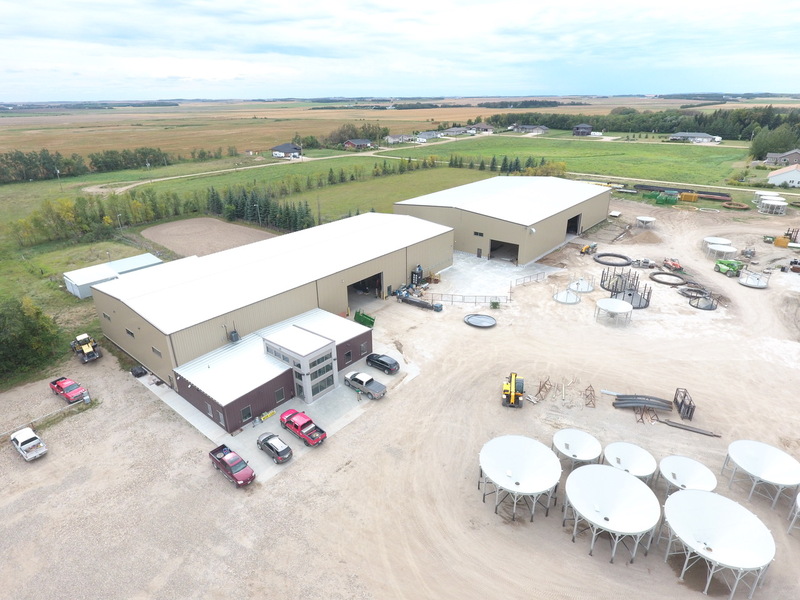 This Project is located in Notre Dame, Manitoba Consisting of a new Steel Frame office addition and a separate Steel Frame shop addition. The new office is 36′ x 76′ and consists of five Offices in the front with a Wash room a two story Common area with Vestibule. The back area of the office has a large Lunch room and Locker room as well as an employee Wash room. All the floors in the office building are ground concrete with in floor heat. The new Shop is 120′ wide x 177′ long x 30′ tall and is connected to the existing manufacturing shop with a 22′ x 30′ link that has a fire Shutter at each end. The shop has a 30′ x 20′ overhead door on the side and a 23′ x 16′ overhead door in one end. There is also a small office and wash room in the shop. The entire shop has a concrete floor with in floor heat. Overhead there are two 10 ton overhead cranes running the entire length of the building as well as several 1 ton jib cranes located throughout the shop.